Broadway.com is counting down the days until the 2014 Tony Awards (26!) and while we absolutely can’t wait for the red carpet fashion and the heartfelt speeches, we’re most excited about the live performances by the shows nominated in the Best Musical and Best Musical Revival categories. So, to help pass the time until the big ceremony on June 8, we’ve assembled a Spotify playlist filled with songs from Best Musical nominees Beautiful: The Carole King Musical, A Gentleman’s Guide to Love & Murder, After Midnight and Aladdin, and Best Revival of a Musical nominees Violet, Les Miserables and Hedwig and the Angry Inch. Not every show (ahem, Hedwig, After Midnight, Aladdin, Violet and Les Miz) has an official cast album yet, so we got creative with old recordings and cast albums from prior productions. 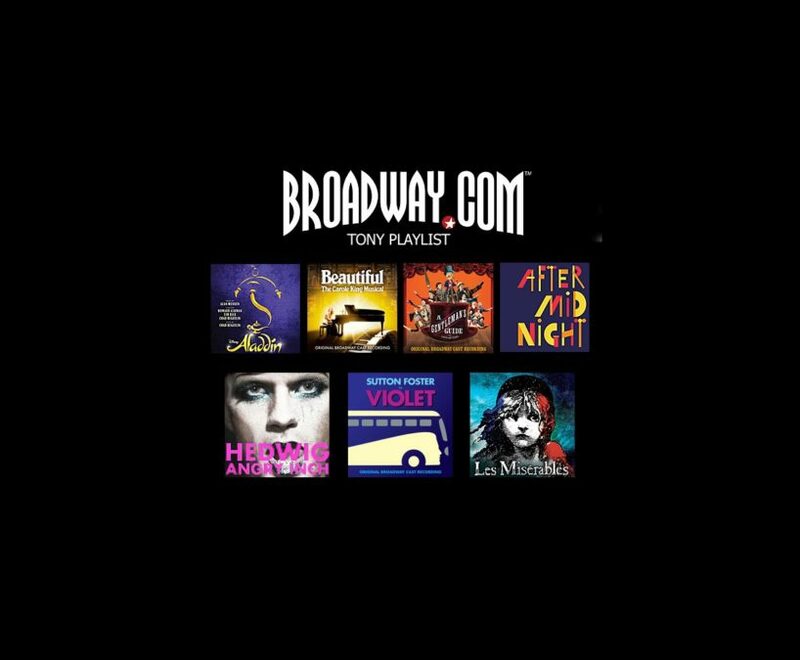 Click below to stream the 2014 Broadway.com Best Musical playlist!